Two of your humble FFS servants are off to End of the Road festival in Dorset today and we’re barely able to contain ourselves. The festival never misses a beat with its line-ups and we’ve been faithful attendees since we launched For Folk’s Sake there in 2008. Our Helen with Sam at the piano stage back in 2008. 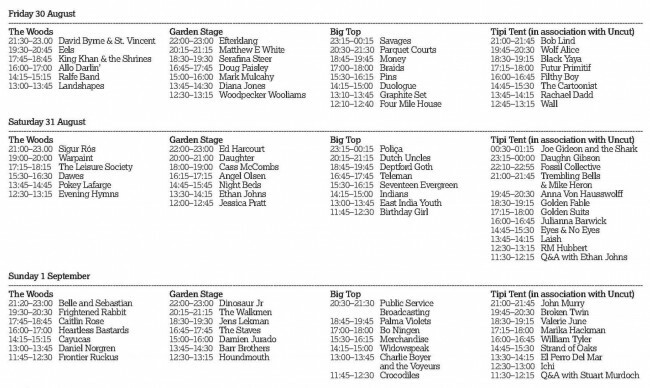 We’ve been looking at the stage times and getting stupidly excited. There’s just so many of our all-time favourites and SO much we want to see. Not to mention the promise of secret sets at the Piano Stage in the woods, delicious curries, the nicest atmosphere of any festival we’ve been to and the absolute certainty that we’ll come away with some new favourite bands.